Most people have one restaurant that they keep going back to over the years. Whether it is because of the service, the atmosphere, the menu, or all of the above, some restaurants have figured out the secret sauce to continued customer loyalty. It might be time to ask yourself, is your restaurant one of them? If your answer is no, it may be time to consider re-branding your restaurant. Your restaurant’s brand is more than just it’s name and logo. It is the entire customer experience from greeting to gratuity. If you want to improve that experience, you need to make sure you address every customer touchpoint. Still not convinced that rebranding is the solution? Read on to learn more about why a re-brand could be the secret to your restaurant’s success. Successful restaurants never rely solely on the quality of their food to attract and keep customers. Every single detail matters, and the menu is no exception. 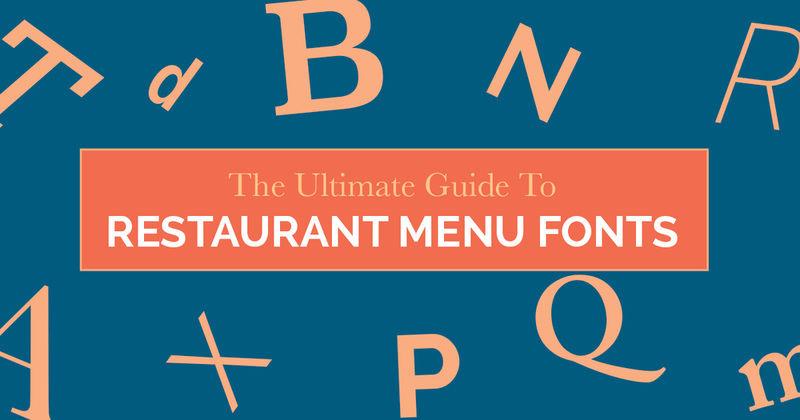 As you perfect your recipes and plan your dining area, remember that your menu is an ambassador for the food you serve, and your font is the crucial design element that could make or break it. Restaurant menus can draw a customer in or they can turn a customer off. The result is not dependent on the dining choices alone, but on the menu design itself. Smart restaurant owners and managers do not leave menu design to chance. A well designed menu can mean a better dining experience and a more profitable restaurant. Menu design doesn’t have to be difficult. 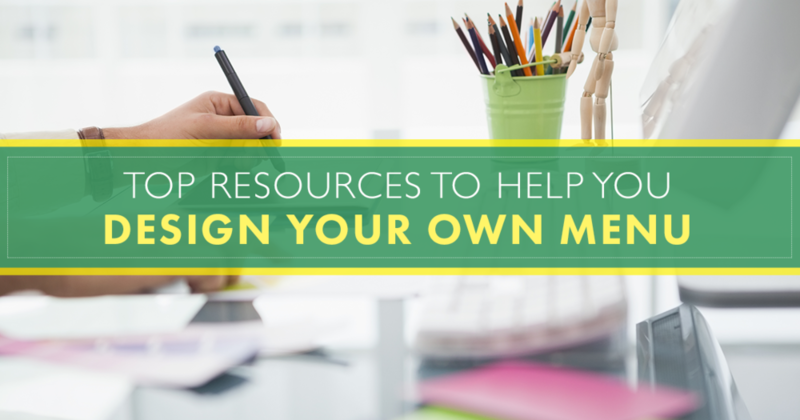 In fact, there are many tools and resources online that can help even the busiest of restaurateurs design and create their own menus. From printing to design to online distribution, here are the best resources for menu design on the web. 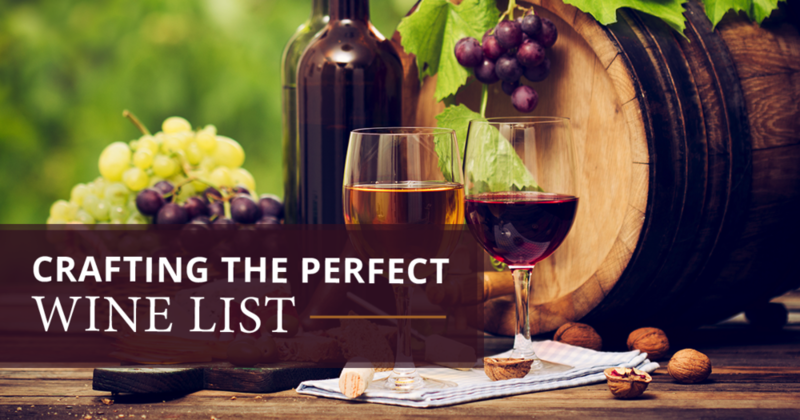 There’s nothing quite like the experience of a fine meal with a perfectly paired wine. Wine lists at restaurants offer diners the opportunity to select the perfect pairing from an impressive list of choices. While a wine list is not suitable for every restaurant, there is certainly an opportunity to offer wine to compliment many types of food and cuisine. Not only will a well-crafted wine list increase the average meal check as well as overall profits, it can also attract new customers looking for a more upscale dining experience featuring finely paired wines. The restaurant industry is highly competitive. If you are going to survive, you have to stay one step ahead of your competitors. Savvy restaurant managers and owners know that the key to staying ahead is staying informed. There’s no better way to stay on top of restaurant business trends in 2016 than by following the top restaurant blogs on the web. Your menu plays a huge role in the success of your restaurant. Beyond displaying dining options, your menu serves marketing purposes that range from encouraging repeat purchases to increasing brand recognition. New customers base their perceptions of your restaurant – and the purchases they make – on the way you present their options, which are the heart of the your business model. However, some of your most valuable selections don't belong on the menu at all. Tipping servers in restaurants has been common in the U.S. for years, but this practice is also causing a lot of controversy. Some people argue that this system should be done away with, so that servers can make a livable wage instead of relying on tips. Others think the tipping system should be kept in place due to the benefits it provides. The Internet has greatly changed the restaurant industry. Now, when someone has a bad (or good) experience in your restaurant, they can post a review online without even leaving the table. Just how important are these reviews in your restaurant's overall success? What should you do to encourage positive reviews, and how should you deal with negative ones? The worst thing you can do is not be prepared to handle online reviews for your restaurant. Responding poorly or not responding at all will damage your business more than you think. What gets people into your restaurant? While you would like to think it is your food, good food alone is not enough to build a strong customer base. A solid brand and marketing plan is the key to ensuring that people are interested in your food, your restaurant, and what you’re all about. It all starts with building a brand. Congratulations! You've secured your location, perfected your cuisine, and started recruiting the team that will introduce your restaurant to the world. Now, it's time to tie it all together with an official menu. Designing your restaurant's new menu may not be as exciting as putting together your list of dishes, but menus play a very important role in creating and transforming restaurants. After all, first impressions are important for any business, but presentation is a deal-breaker in the food service industry. No matter where your restaurant is located, you can increase your reach just by putting yourself in the same place potential customers already frequent: social media. By using social media platforms like Facebook, your restaurant’s brand can become more personable and appealing to customers than traditional advertising methods alone. Don’t just take our word for it! Check out ten restaurants that prove social media is useful beyond sharing the latest funny cat video. These restaurants use Facebook to interact with customers and increase awareness about their business. You can too! As a smart restaurant owner, you have already built a strong foundation for your restaurant's brand with your great food, unique style, and impactful ambiance. However, your restaurant's brand isn't just about what your company offers; it's about what people think about your company. Your restaurant’s brand is made up of the thought associations your customers make in relation to your company and the experience you provide. Fortunately, there are strategic marketing steps you can take to build a positive brand image for your restaurant that will engage and delight your customers and bringing in new ones. Just like the cuisine you serve and the ambiance you create, your menu reflects the quality of your restaurant and influences the choices your customers make. Menus should always be easy to read, clean, and up-to-date. However, the overall format of your menu depends on a variety of factors. All modern restaurant menus fall into eight different categories. By learning the distinctions between them, you can select the best menu or menus for your restaurant. Restaurants that are strategic about their menu formats can bring in more revenue and delight more customers with clear and navigable selections. When you run a restaurant, one of the most important aspects of getting customers in the door is a good marketing plan. However, before paying for ads you have to know exactly what it is you’re marketing. That is where your brand comes in. A brand represents your company, what it does, and how it does it. When a restaurant has a solid brand, customers will think of the high quality of the food and dining experience as soon as they hear or see your name. Your brand is the reputation your restaurant has and what comes to mind when people think about you. Are Restaurant Loyalty Programs Worth It?